This great period shirt is 100% cotton with very full sleeves and an antiqued collar button. 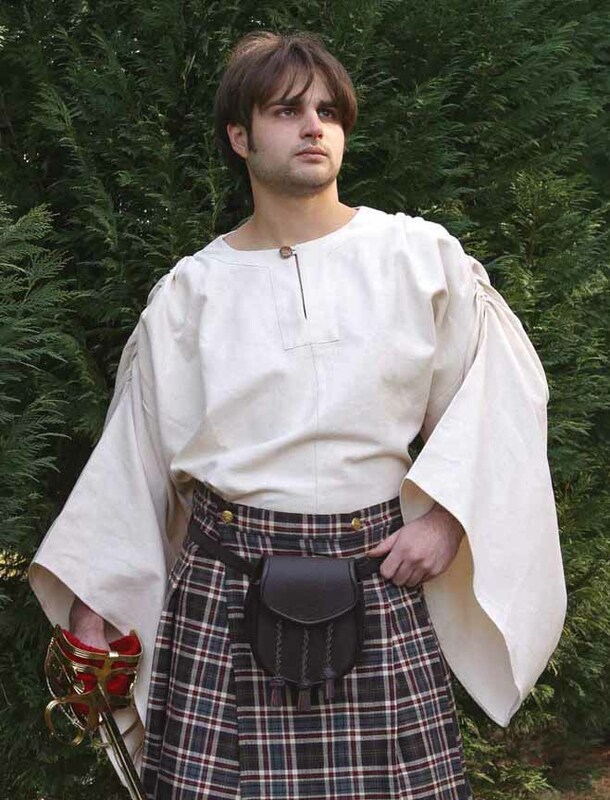 It works well with many period outfits, but is perfect with one of our period kilts! Natural color only, sizes S/M, L/XL, or XXL. Kilt, sold separately, Sporran and sword not available.